AV GEEKS is one of the leading home security service providers that specialize in safeguarding your family and protecting your home. 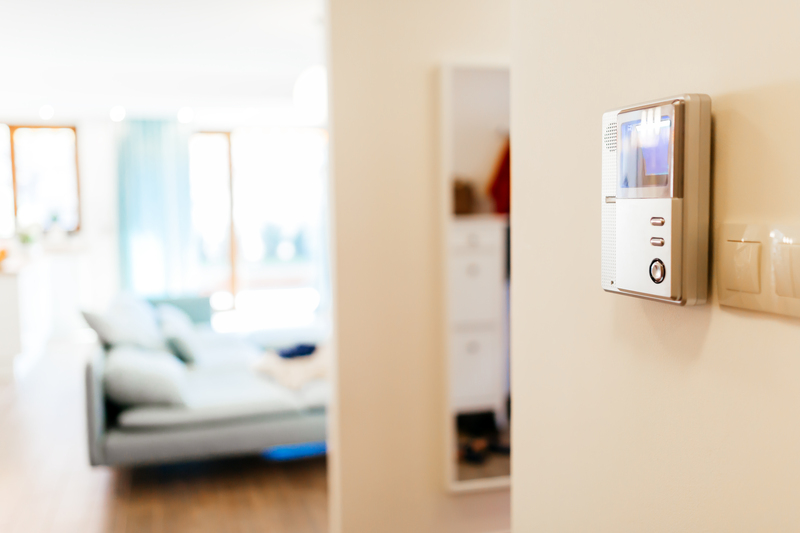 With the wide variety of hi tech home security services in Ottawa however, collecting tips for the security of your home can be quite overwhelming. The following are some inexpensive and easy home security tips that we have compiled that will help you to get started on your home protection and security. One of the best methods of safeguarding your home is to install alarm systems. Our security installation services in Ottawa ensure that your home alarm systems inform you and relevant authorities of any potential dangers immediately. Keep your home security wires hidden as well because burglars will be always on the lookout for them in order to disable your security system. Professional burglars often roam around neighborhoods looking for homeowners who are away from their homes especially for long periods of time. Hi tech home security systems in Ottawa have automatic timers designed to turn your lights on and off in intervals when you are away. This way, any potential burglars will have an illusion that your home is occupied and stay away. Most people have heard of this home security tip but many still ignore it. One of the easiest ways for an intruder to enter your home uninvited is by finding a key under the doormat or in the mailbox. Our Security installation service providers in Ottawa advise homeowners to wrap keys in foil and place them in secret spots known by family members only. Our security installation services in Ottawa ensure that all exterior doors have at least 1 inch thick dead bolt blocks. Although a bit costly, these locks are much stronger and provide extra protection. When installing deadbolts, it is recommended that you leave the least amount of space between the door and its frame because it provides opportunities for intruders to pry the door apart. Hi tech home security experts in Ottawa suggest reinforcement of doors with pieces of sheet metal or plywood. Intruders often gain entry into homes through windows. Our security installation services in Ottawa include protecting such vulnerable areas with burglar resistant glass or window locks. Installing many small panes of glass instead of one large pane is a good option as well because it will give burglars a hard time when trying to enter your house. It is very easy for a burglar to break into a house with sliding windows, patio or glass doors. Our security installation services ensure that a metal bar is placed along the bottom track of the window or door. This prevents any potential burglar from forcing the door or window open. Reliable technology – The home security technologies we offer are sustained by a reputable network of dependable manufacturers. Personalized solutions – All the solutions we offer are designed to meet our clients’ needs.